Aleph Champ is an innovative, cutting edge Hebrew reading system based on the martial arts motivational philosophy of color coded levels and testing. The program provides motivation and inspiration for Chabad Hebrew School students around the world. 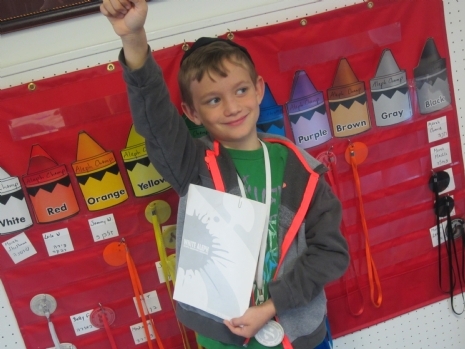 Individualized reading levels, clearly defined goals and creative materials make Aleph Champ an incredible success. In this highly motivated learning environment, students are divided by skill into various color levels, with a designated reading teacher who oversees the progress of each student. When a student feels ready to move onto the next level, they simply arrange to be tested. In this way the Aleph Champ program empowers the individual, stressing self-motivation and personal goals while encouraging group work. At a ceremony, held at the culmination of the year, family and friends are invited to a celebration of each student's growth. Students are presented with certificates and trophies reflecting their accomplishments.